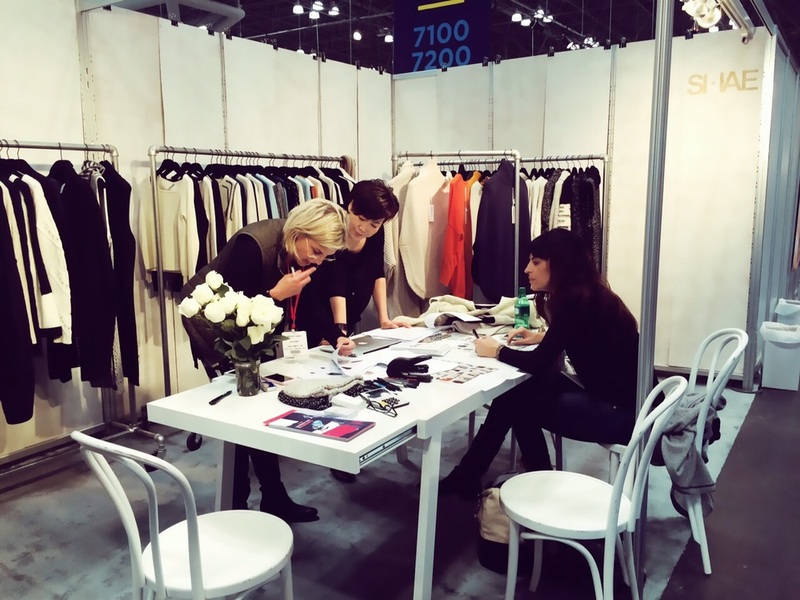 What a week in NYC for Coterie, Capsule and Axis tradeshows! Feeling so inspired by our brands -- existing and new coming for Fall. It will be a season of warm sweaters, splashes of color and unforgettable accessories. Hold on tight fashion lovers, you're gonna want to join the party! You inspire us to #beuncommon everyday! A day of shopping...don't be jealous it's not all glamour! When looking for a unique, handmade bag, ELLA+RUBI fell in love with ALI LAMU'S story even before seeing these amazing bags! ALI LAMU is a fisherman who, one day when the sea was rough and impossible for fishing, was looking for a way to earn some money in Kenya, Africa. He was asked to get some of the old dhow’s sail (in Swahili called TANGA) because Daniela, a swedish art designer always looked at it as a piece of art designed by the wind, the salt of the sea water, the sun, the rain, and years of travelling over the ocean. Well this is how it all started….with and because of a broken heart….there is always time for new beginnings….follow your star…. After the first broken heart they made many more paintings that, to their huge surprise and joy went all around the world, the art all based on the mood of the moment….it is simple: what you see is what they feel! SEVEN people make one wonderful, creative and WELL LOVED, one of a kind ALILAMU BAG! Back in August we visited the little village of Antibes, in the South of France. One of the true highlights (besides the beautiful ocean, the amazing food and the BEST rosé served with ice ) was the little weekend art market in the small, winding cobblestone streets. It is where we met with Charlene and her sweet husband - owners of CHIC&ETHNIC and immediately fell in love with their beautiful, colorful Tibetan Prayer Bracelets. Talking to Charlene she explained that they drew the inspiration for the bracelets from Tibetan prayer flags. In Tibetan tradition these flags are hung in prominent places such as high mountain passes, crests of peaks, rooftops, outsides of temples and crossroads. Their exposure to the four winds allows the messages, wishes or prayers to be dispersed. They were initially used as talismans to protect the Tibetans. They have since been adopted by Buddhists to carry prayers or messages of hope and peace. The bracelets are in Sanskrit and the message contains the mantra of "Ghachenchemon". The literal translation is "Supreme Umbrella" which provides the protection of a sacred prayer to all; the mantra invokes the wish that all sentinent beings may have a life full of happiness and rich achievements. Needless to say we fell in love and had to bring these beauties back to ELLA&RUBI and we are so excited to share them with you! Amazing photoshoot for our lifestyle pictures. We got so lucky - after weeks and weeks of sunshine we had the first real Pacific Northwest rain storm BUT we managed to stay dry ... well, most of the time anyway. Time to set up an office, pick out a desk, schlepp shelves, organize product and GET THIS SHOW AND THE ROAD. Can you tell how excited we are to show you what ELLA+RUBI is all about!? FEELS LIKE X-MAS! PACKAGES ARRIVING! Greatest treat of the summer: visiting artisan markets in the South of France. We found wonderful treasures, so excited to share all of them with you! Visiting Warm-ME in Salzburg, Austria. Seriously THE most beautiful showroom ever, best people and certainly the BEST product: fine, super soft cashmere beanies hand-spun with 100% Mongolian Cashmere in Nepal. Even in the middle of summer a Warm-ME hat feels SO amazing! trade show loot:) always feels like you ran three consecutive marathons after three days in Berlin but if felt so great to discover just the right products for ELLA+RUBI! Of course we had to do a little shopping ourselves! Some amazing stores - always a great way to gather inspirations for ELLA+RUBI. Here it all starts: BERLIN. Spring/Summer ordering trip. Amazing shows at PREMIUM BERLIN, BREAD&BUTTER and SHOW&ORDER. So much innovative product to see, fun people to meet and great places to visit!